On Sunday, Pondy ART received an anonymous donation matching that of Mr. Thomas Cherian from the day before. We received another 10,000 INR towards our goal of 1 Lak for the installation of Olya Morvan’s upcoming photography exhibition at the old Distillery in Pondicherry opening WITH YOUR HELP on 14 January 2014. 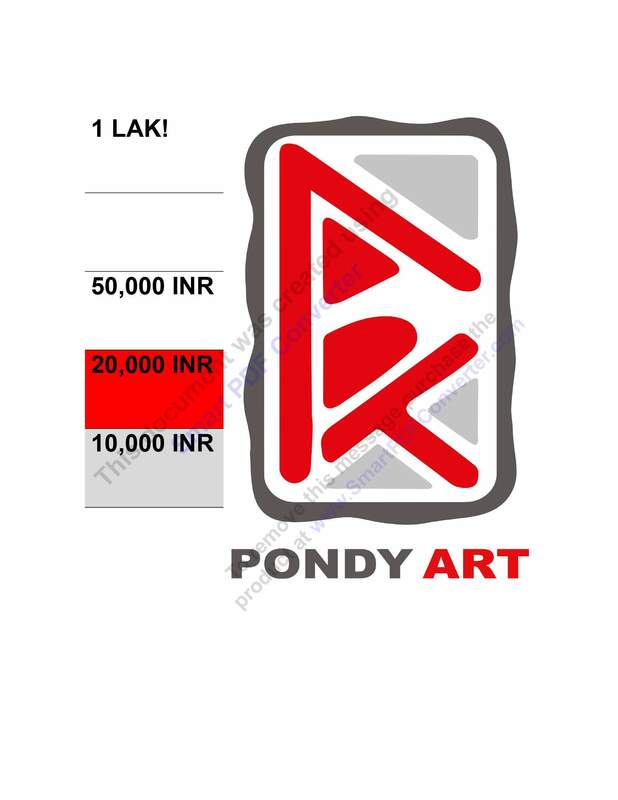 We thank this donor for helping Pondy ART “get art out there” in Pondicherry! We are now 20,000 INR towards our goal!!!!!! If you would like to support Pondy ART and Pondicherry’s next photography exhibition, contact us directly at pondy.art1@gmail.com or stop by Kasha Ki Aasha at 23 rue Surcouf, Pondy 01. We welcome donations of ANY amount and thank you in advance for being part of this community project! Previous Previous post: Our first donation! Next Next post: We are already almost half way there!